When diving the river divers should pay attention to the local tidal and current conditions. Tides are semidiurnal meaning there are two high tides and two low tides each day. 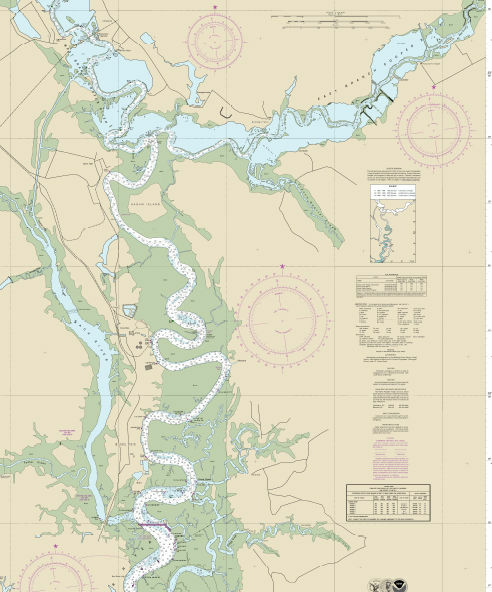 There are several NOAA Tidal Reference Stations along the Cooper River that may be used to determine the times of the highs and lows at different places along the river. Our charter operations plan dive times using the tidal reference stations nearest the dive sites, which allows the dives to be conducted at times of lesser current flow and to Mazimize vizimility. Depending on tidal conditions including vizibility and current flow strength can be very light to extreme conditions, depending on local weather and rain conditions, time of day,tides and Hydroelectric Damn flows uo river from Moncks Corner, SC.